Well this is getting downright interesting - after some pricing confusion, rumor has it that the Samsung Galaxy Tab will sell for somewhere between $200 and $400 on contract. That's a hell of a lot better than some of the numbers that were floating around after its official unveiling on September 2 - we'd heard upwards of $900. Even better: looks like the earlier rumor about Sprint getting the Tab may hold some water after all - now, word on the street is that it'll be rocking WiMax (4G). 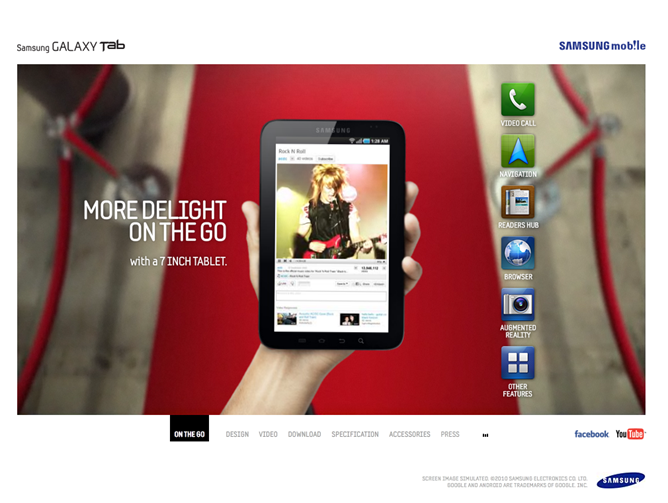 Samsung Galaxy Tab To Launch On O2 For €99 With Contract, €799 Without? It's clear from what other reviewers think as well as the specifications Samsung's released so far that the Galaxy Tab will be the Android tablet to get at the time of its launch (which, mind you, has still not been announced). Unfortunately, there are still a few things that could go wrong, not the least of which is pricing. 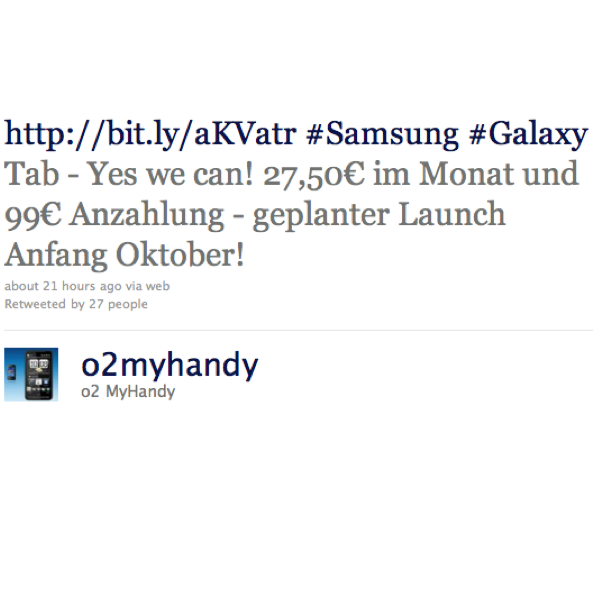 Today, it would appear that mystery has been debunked by a recent tweet from German carrier O2 as well as the latest round of rumors.